Toyota sold over 10 million vehicles in 2013 alone. They beat GM for the second year running in terms of units sold. There is a reason the Japan-based automaker is a top seller in the country. Reliability, affordability, safety, style- these are just some of the things that people love about Toyota. It has been a trusted name in the automotive industry for many years. So let’s take a look at the facts and history of Toyota. Here are some things you might not know. They also have 522 subsidiary companies. When it comes to Toyota, there are some popular models that most everyone knows. Of these is the Toyota Celica, one of the most popular models to date. The Celica started in 1970 and was discontinued in 2005. This model has been everything from a great family car to a street racer and continues to be well loved by fans and collectors. The Corolla line started in 1966 and the 10th generation came out in 2006, improving on features and safety but still maintaining the features people have come to love. There have been more than 30 million Corollas sold over the years. The Landcruiser came onto the market in 1954 and features 4-wheel drive and off road capabilities that people love. Toyota also has a two-seater sports car in the list with the MR2. It’s a mid-engine car with rear-wheel drive and was manufactured from 1984 to 2007. 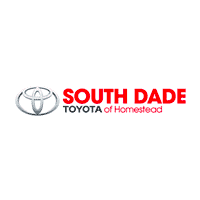 Some models you can purchase today include the 4Runner, Avalon, Camry, Corolla, FJ Cruiser, Highlander, Landcruiser, Prius, RAV4, Sequoia, Sienna, Tacoma, Tundra Yaris and hybrids of many of these models. You can get them new and used with a variety of features to meet your needs. Here are some more fun facts you might now know about Toyota. For example, we told you the surname of the founder was Toyoda. The name of the company was changed to Toyota because Japanese superstition believed it was luckier. It would see luck has been very good to the Toyota franchise. A member of the founding family of Toyoda, Shoichiro Toyoda, was inducted into the United States Automotive Hall of Fame in 2007. Did you also know that one of Toyota’s subsidiaries is Lexus, which creates high-end luxury cars that sell at top of the line prices? They also own Scion.